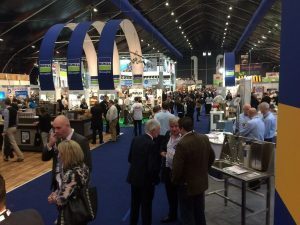 If you’re not familiar with the show, IFEX is the big catering industry exhibition in Ireland and Northern Ireland. 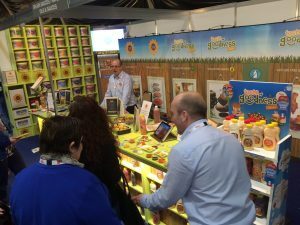 It takes turns between Belfast and Dublin and is designed to match buyers with producers and resellers. It’s distinctly a trade only show but that’s not to say you must own a product or store to attend. Registration to visit is free and there’s a wealth of food related information to be gained by attending. A number of our supporting advertisers will be there as well as new suppliers, equipment manufacturers, cooking demos and obviously lots of networking opportunities. 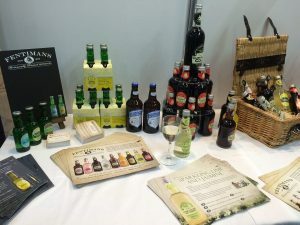 As always, the gluten free resources will be our priority so we’ve pulled together as much gluten free information as we can, to guide you around the show. 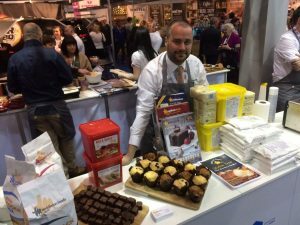 We’ll be visiting IFEX on Tuesday 8th March (the show runs from Tuesday 8th-Thursday 10th) and updating this post with photos afterwards. 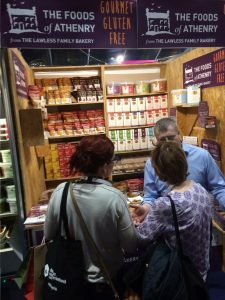 It was a busy day at the show with lots of great samples and some exciting new gluten free products coming to the market. 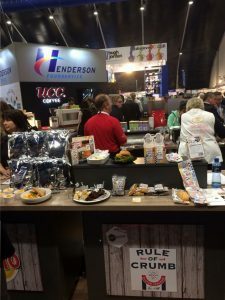 Definitely check out Rule of Crumb and Middletons for food service foods. You can find them through Hendersons retailers and Lynas and in the Lynas supermarkets. Another interesting find was Fentimans. I’ve been a fan of Fentimans Curiosity Cola for some time but I was pleasantly surprised to discover all but one of their products is naturally gluten free. The Lemon Shandy is the only one to avoid. You can find them on stand C20.